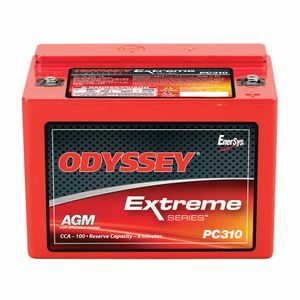 Maybe these are better batteries but with Motorbikes batteries often are allowed to discharge and even an Odyssey will fail if discharged enough times. After getting through two of these I've switched to a much cheaper brand. Amazing power for such a small unit - easily starts my highly modified 2.0 zetec. However, terminal size is ridiculously small (only M4) and makes it quite difficult to attach my power cables. If the terminals had been M6 or larger, I would have given it 5 stars. Outstanding. Ordered Odyssey battery on a Friday and received battery the following day before 11am. Could not wish for a better price or service. Thank you all at Tayna, service this exemplery is rare. Paul Flint. Product as expected. Service from seller is great. Arrived next day. Hold sits charge for a year! Really great battery. Bought this for a 999r...looked very small...very impressed by its performance...kept charge better than a lithium and so far so good. The service from Tanya was as usual 1st class...this is now my 5th purchase from them. I use this battery type to power the electrics on my Laverda track bike - total loss system no alternator. Works well for several track sessions in day. Less than 6 lbs and starts my Rotax 80hp aircraft engine very easily! Fast delivery. Perfect.